While San Jose continues to clean up and rebuild following historic flooding last month, Mayor Sam Liccardo has identified a new threat: scam artists. The mayor of the South Bay city and multiple City Council members on Tuesday will ask the city attorney to consider suing contractors and landlords for "unfair business practices," according to city documents and the mayor. Some businesses have been approaching flood victims with scare tactics in trying to persuade the residents to hire them to clean up their properties. "They told them the water is dangerous; if you don't clean it, you'll get cancer," a resident identified only as Ray said Tuesday. "They are scaring people." 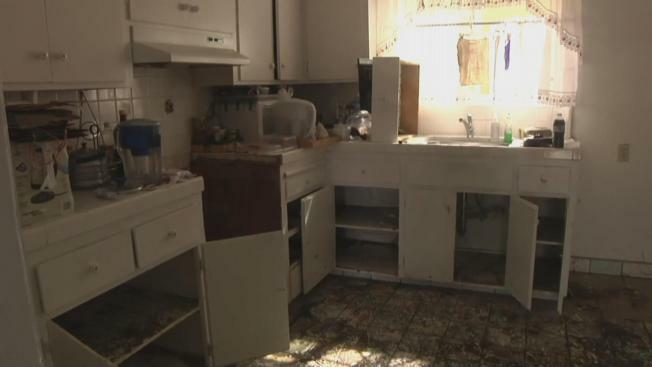 City leaders claim some landlords have failed to make "critically-needed repairs" and let "fast-growing mold" fester. They also argue that some contractors have ramped up costs for certain cleaning services by as much as four-times the amount of original estimates. "If there are some folks who are taking advantage of residents at a vulnerable moment, we're going to come after them whether it's with the city attorney or with the help of nonprofit organizations bringing legal actions," Liccardo said. "We're going to make sure that residents are protected." Flood victim Jolene Noel hired a service to pump roughly two to three feet of mud from her basement. She was quoted for $1,500 to $1,700, but the final bill turned out to be $2,200. Noel refused to pay that amount before agreeing to shell out $1,700 to get rid of the muck in her home. "We were vulnerable at the time," Noel said. "We were desperate to get this work done quickly. They thought they could swoop in. If you don't speak up, they take you for as much as they can and do as little as possible." The reported cases of price-gouging are isolated, according to Liccardo. He does still want other potential victims to come forward if they believe they were scammed.